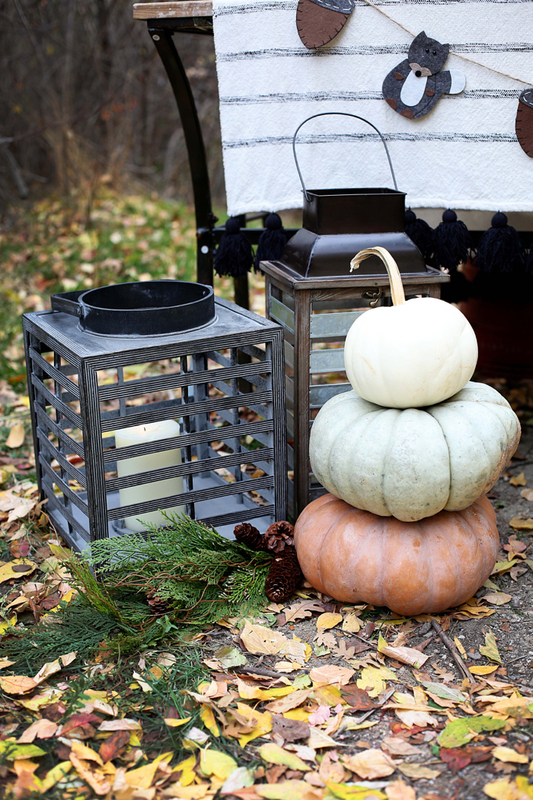 Thanksgiving tips for decorating and preparation! 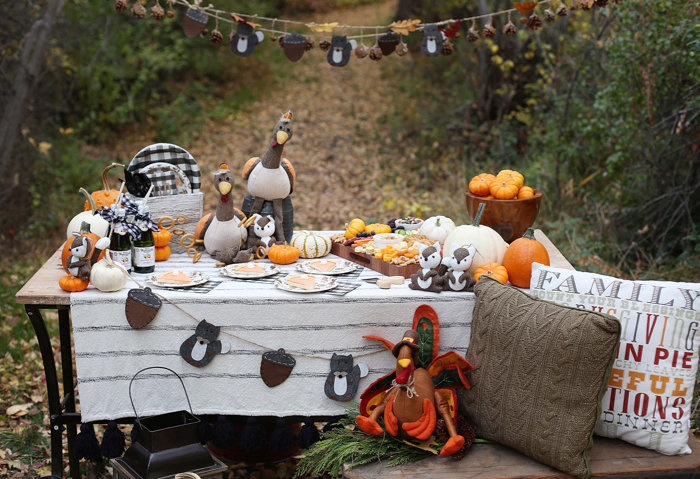 We had the absolute best time working with Tai Pan Trading on this Thanksgiving shoot! 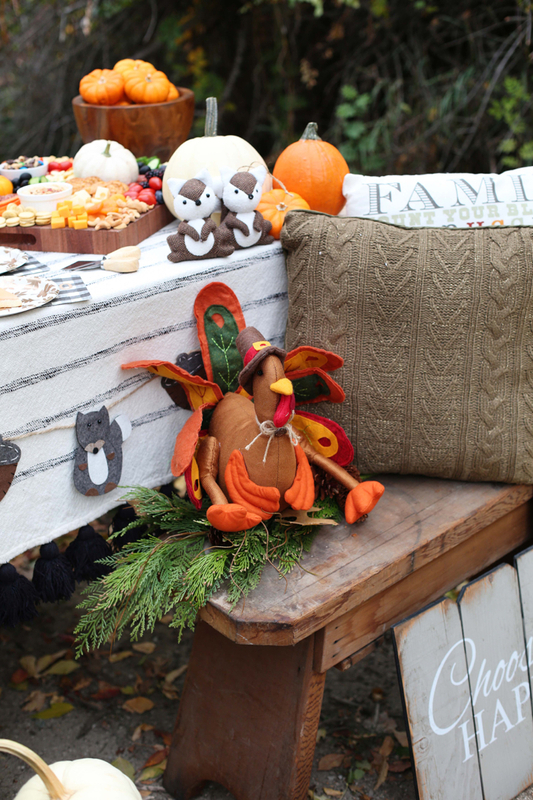 This entire thing was styled by my sweet friend who i adore, Jenni! She has an eye for style + decor! There’s something about the holidays that is so special and meaningful to me. I love the time I get to spend with my family and friends. I feel like it life always get ahead of me and I never have the time to slow down. I really try my hardest to appreciate the holidays and spend as much time with my family as possible. I always alwaysssss go to Tai Pan Trading for every holiday! They have affordable and unique items that you cannot find anywhere else. Not only do they have amazing decorations, but when you go into the store, you can’t help but feel inspired with the way they put everything together. 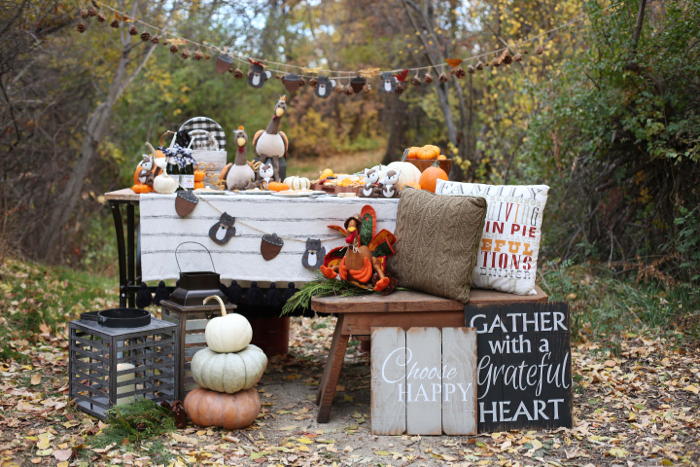 If you’re lacking some serious holiday creativity (like me), just take a stroll through the Tai Pan Trading isles and I promise you, you’ll go home with a handful of ideas on how to decorate! 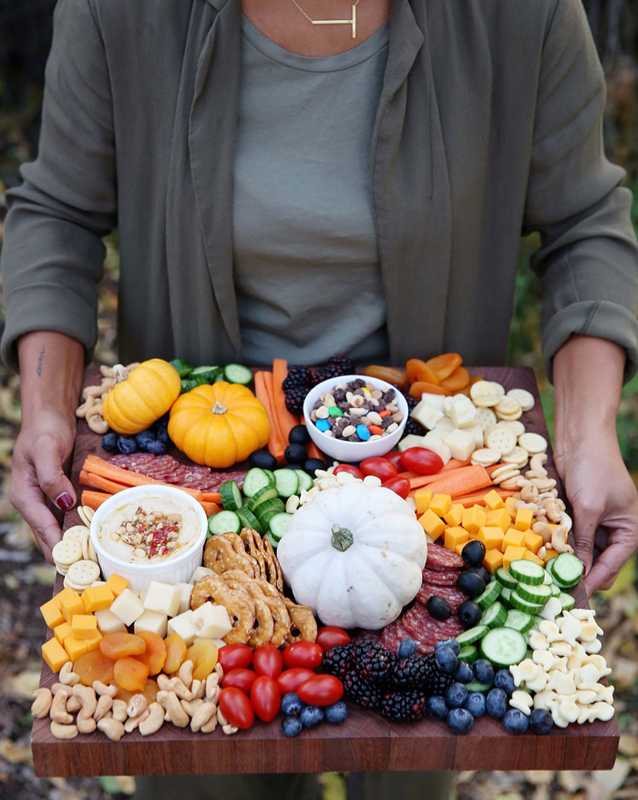 Also my sweet friend Shannon from Clean Eats + Treats made the most beautiful snack board just for the kiddos! Not only was it beyond gorgeous it was so yummy! Make sure you guys are following her for yummy recipes and great family friendly ideas! 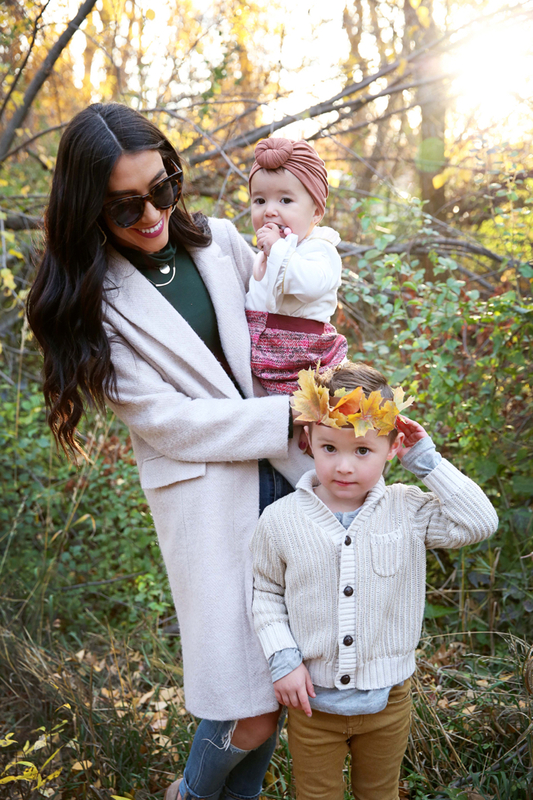 We made these adorable leaf crown from (seriously guys) picking up leaves from the ground and gluing them onto the little headbands. 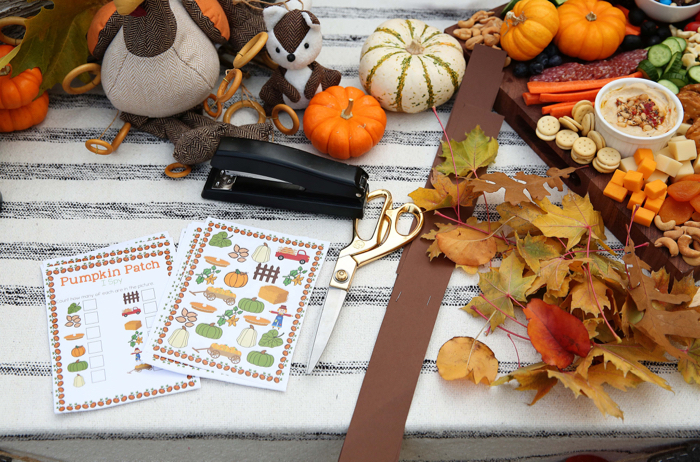 Not only did the kids have a total blast picking out their own leaves and exploring outside but it was such a simple and super cheap craft that is perfect to celebrate the season! Another fun thing we did with the kids is a little game of I Spy which you can download here! 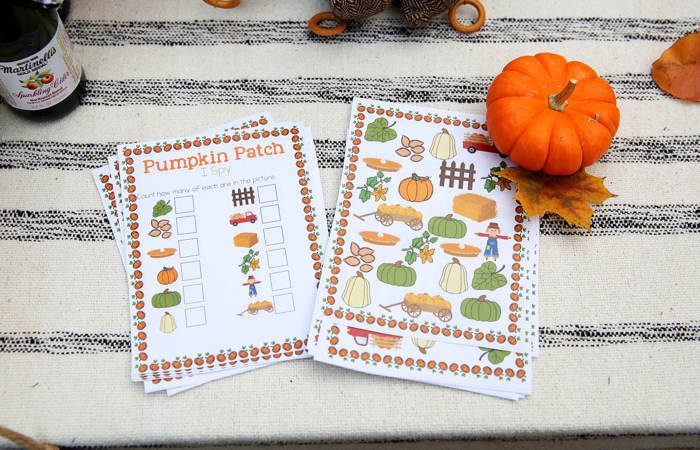 These game boards are a great way to keep kids busy while you’re trying to get everything organized for guests to arrive or heading out of the house! 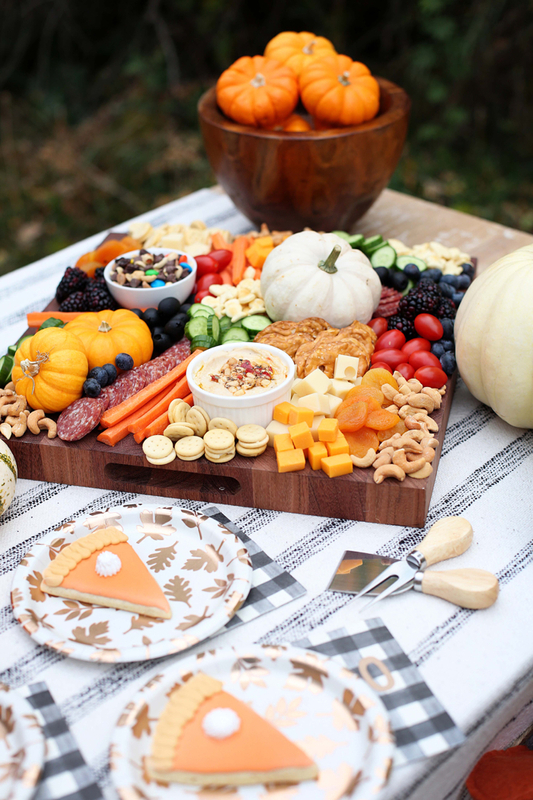 One of my favorite appetizers for any kind of party especially holiday parties is a cheese board! 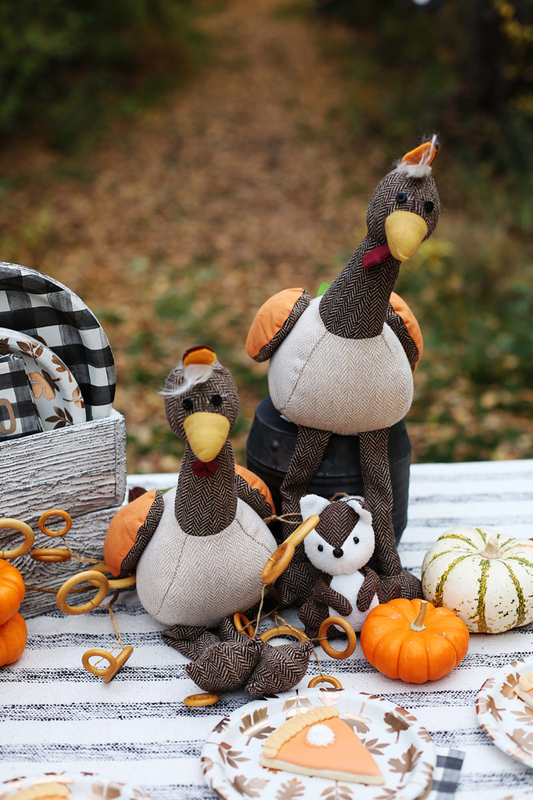 You can make them so adorable too which is just an added bonus and also an easy way to decorate AND feed your guests. 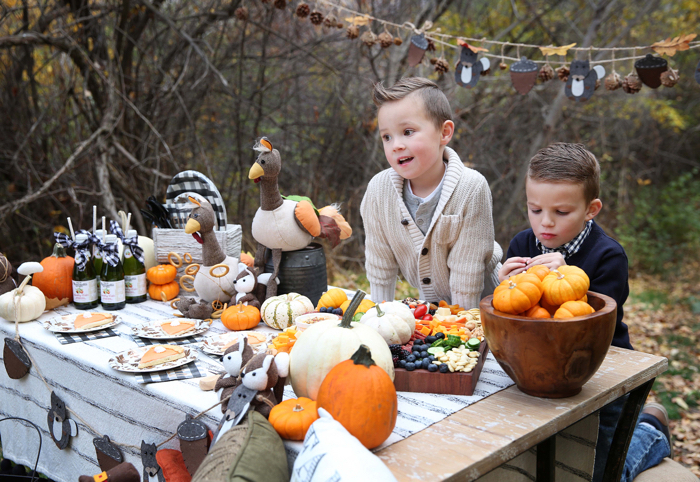 I loved the idea of incorporating yummy kids snacks like goldfish, trail mix, cheese crackers, fruit and veggies onto the cheeseboard! It makes it perfect for all ages and also will keep guests and kids happy while the rest of the food is still being prepared! 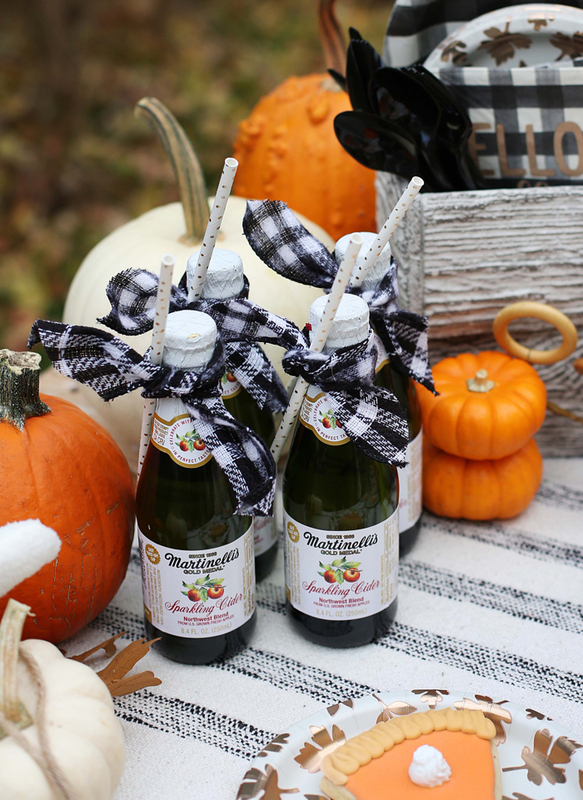 Another holiday favorite of mine is the Martinelli’s Sparkling Ciders! I seriously just love the tiny little bottles and I get so giddy when I see then in the grocery store because I know that means a celebration is right around the corner! 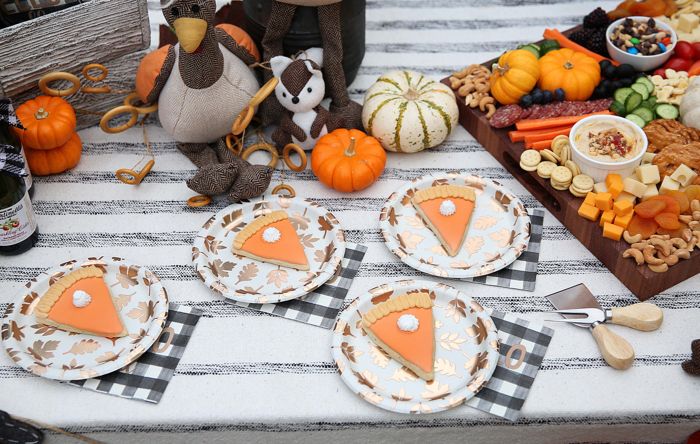 These are so fun to add to the refreshments table and everyone can crack open their own little cider! Do what works for your family! IE: If you have younger kids, work around their naps, if you don’t like eating dinner until 8, do that! Play fun gases, make it enjoyable for everyone! Don’t shy away from paper products! It makes clean up so much easier + there are so many fun and new designs that can also double as decoration!! Plan ahead, make lists, and keep organized! If there are dishes you can make ahead of time, make it fun for the family to help out! Don’t feel like you can’t obligate responsibilities. People love to help and be involved, especially around the holidays! When you’re at Costco, pick up tubber ware for take home meals for your guests! That way you aren’t left with all the extra food at your house and it will be an easier clean up! Plan activities! IE: Games, movies, decorating cookies! 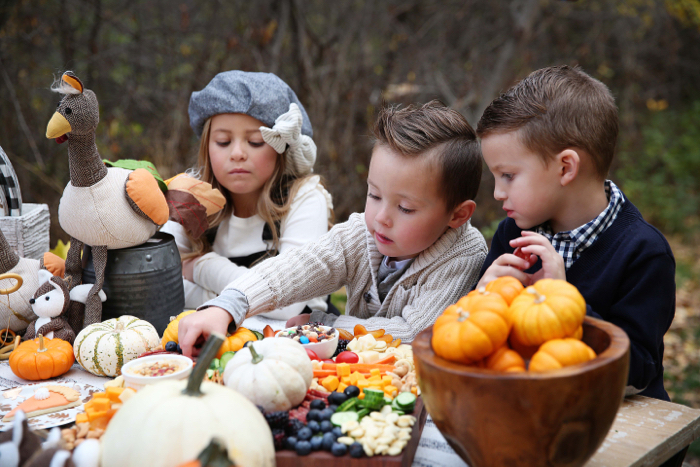 IE: We didn’t get the chance to carve pumpkins on halloween so we are going to do it for Thanksgiving! Have a theme! What are you thankful for? 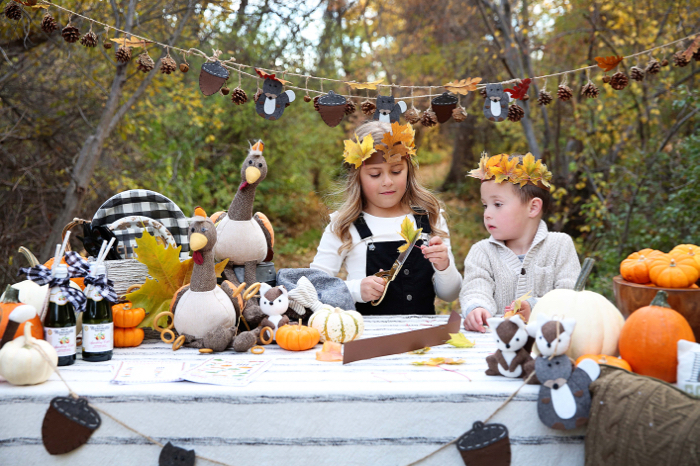 Have your little ones decorate a pinecone they find from outside of grab a bag of them from the dollar store and they can make their own decorations! At the end of the day, the holidays truly are all about having a great time with your friends and family and creating memories that will last forever! 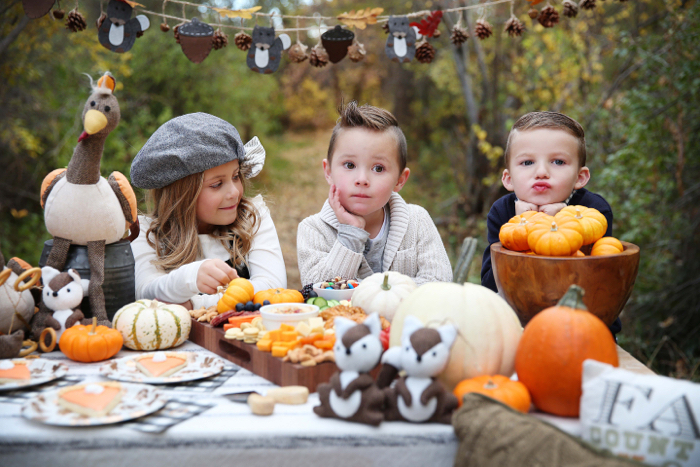 Along with my tips, here are some super comfortable and cute styles for women, mens and kids! These are great sweaters to throw on quickly and still look super put together! 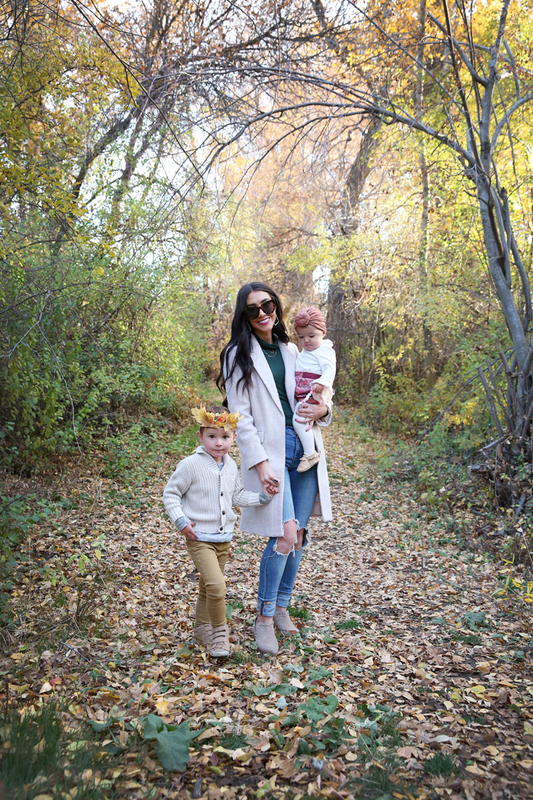 I am all about making the holidays a more simpler time, and having an outfit picked out a few days prior or even the night before totally saves me time and stress in the morning! 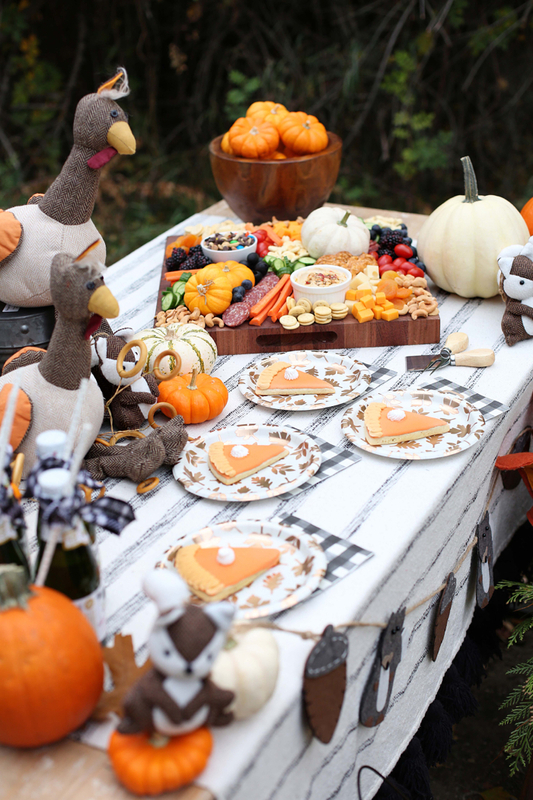 I can devote my time and energy to something more important, like going to Costco to get more pumpkin pie! YUM! My trusted beauty products for years! This is beyond adorable! I’m loving the set up, and your outfit in the first picture as well!